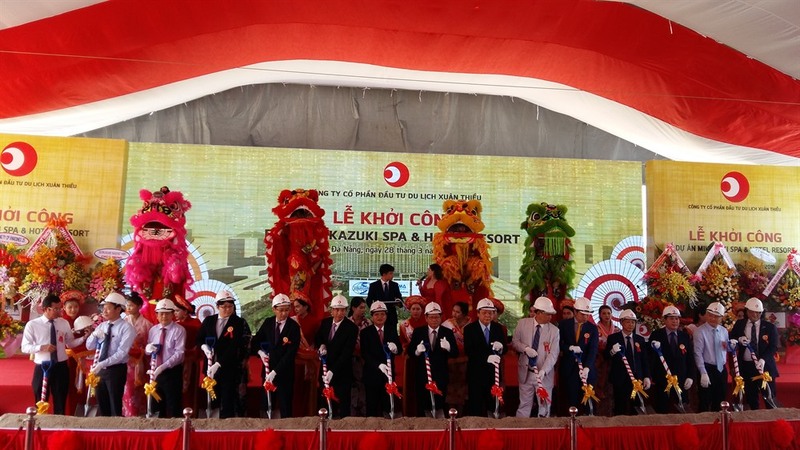 ĐÀ NẴNG — Japan’s Mikazuki Group commenced construction of the Đà Nẵng-Mikazuki Japanese Spa and Resort project – the first five-start resort and entertaiment centre in Đà Nẵng Bay – at a ground-breaking ceremony on Wednesday. The project, which has been designed as a Japanese-style centre of resort and recreation, will cover 12.3ha with total investment of more than US$100 million, offering a 500-room resort, a hotspring and water park and an ecological garden area. It’s expected to open in 2021. General director of Mikazuki Group, Yoshimune Odaka, said Đà Nẵng was the group’s first choice when it decided to invest abroad in 2017. “It’s our first overseas resort project after developing four big hotels with more than 1,000 rooms in Chiba, Tochigi Prefectures and Tokyo in Japan, and Việt Nam was eyed as a destination for our first project outside of Japan,” Odaka said. “We decided to land at Xuân Thiều Beach in Đà Nẵng after surveys in Hà Nội and HCM City in 2017. The project was soon granted an investment license,” he said. Odaka also said the project would be the first luxury resort with Japanese style and would boost tourism growth in Đà Nẵng and central Việt Nam. In 2017, Japanese Route Inn Group also launched its first four-star hotel project – the Grandvrio Đà Nẵng City – with total investment of $18 million and a five-star Grand Ocean Resort in Quảng Nam Province. Japan is the second largest investor in Đà Nẵng with 177 projects worth $809 million, creating 30,000 jobs for local and neighbouring provinces. The central city, which hosted 7.66 million tourists last year, expects to receive 9.5 million tourists in 2020. More than 700 hotel and resort projects with 36,000 rooms have been built in the city. 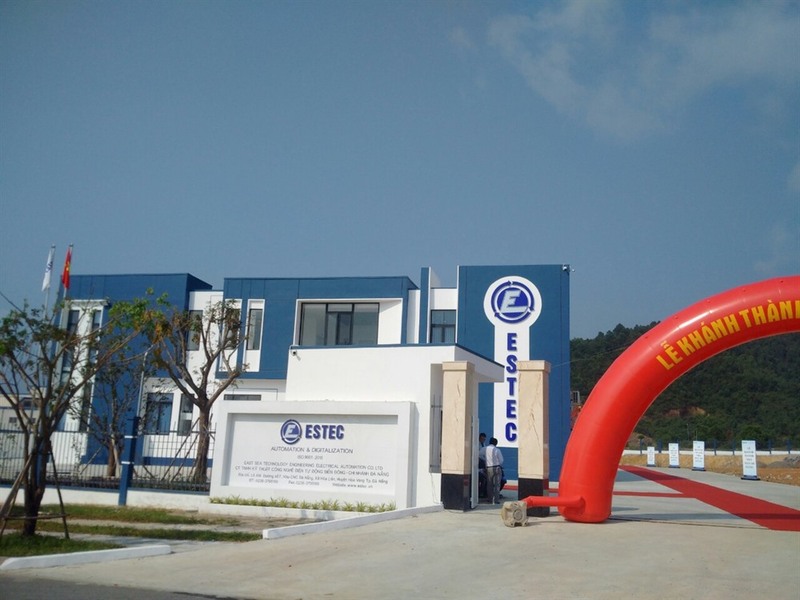 Also on Wednesday, the HCM City-based Biển Đông (East Sea) Electric Automation Technology Company officially inaugurated its ESTEC Digital Factory at the Đà Nẵng Hi-Tech Park after one year of construction. The factory, which covers nearly one hectare with investment of $8.1 million, will provide innovative solutions, automation equipment, cloud computing, air and waste water monitoring system, gear boxes and technological application research. It’s also the first automation and digitalisation project that has been launched in the 1,100ha hi-tech park, 20km west of the city centre, since the park was built in 2013.